NEW YORK –- The latest installment of the game for soccer bragging rights along the Hudson River had everything any fan would want in a hotly-contested rivalry: stars being stars; controversial calls to debate and chew on well after the final whistle; a red card; another red card; consistent ill will shown by (and toward) the combatants; substitutes making an immediate impact; substitutes being substituted for; and fans and journalists alike left satisfied after taking in two hours of sporting drama befitting of Broadway. 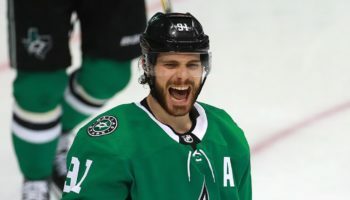 There was one thing this game did not have, however: a winner. 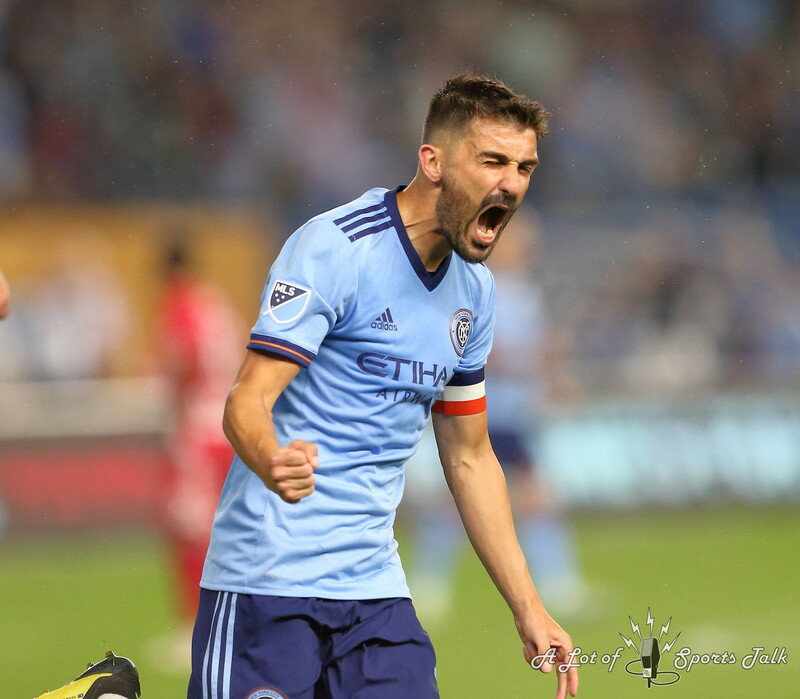 After going down a goal, and then down to 10 men just seconds after falling behind on the scoreboard, New York City FC overcame those deficits to salvage a 1-1 draw at home against the New York Red Bulls at Yankee Stadium after their captain, David Villa, scored the equalizer in the 52nd minute in his first home game in two months. 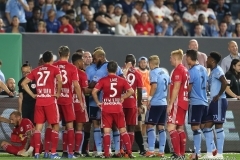 The Red Bulls held the lead after NYCFC’s personal boogeyman, forward Bradley Wright-Phillips, scored his 16th goal of the season in the 37th minute, then, less than three minutes later, were handed another advantage when New York City FC midfielder Eloi Amagat was handed a straight red card after a studs-high sliding challenge on Marc Rzatkowski. 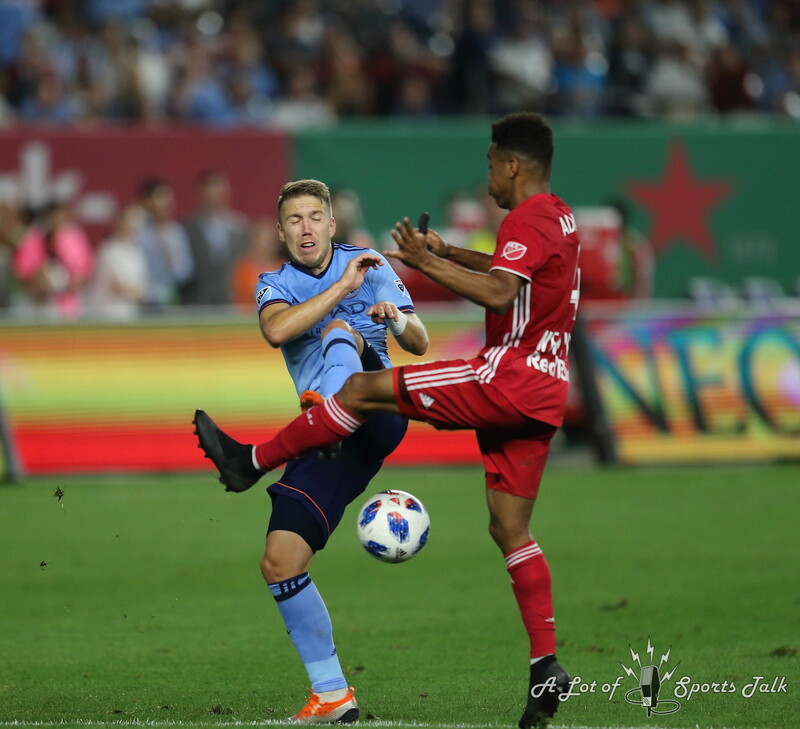 Even with their numerical disadvantage, New York City FC started the second half by playing aggressively, as forward Jo Inge Berget came on as a substitute and replaced a midfielder, Ismael Tajouri-Shradi. 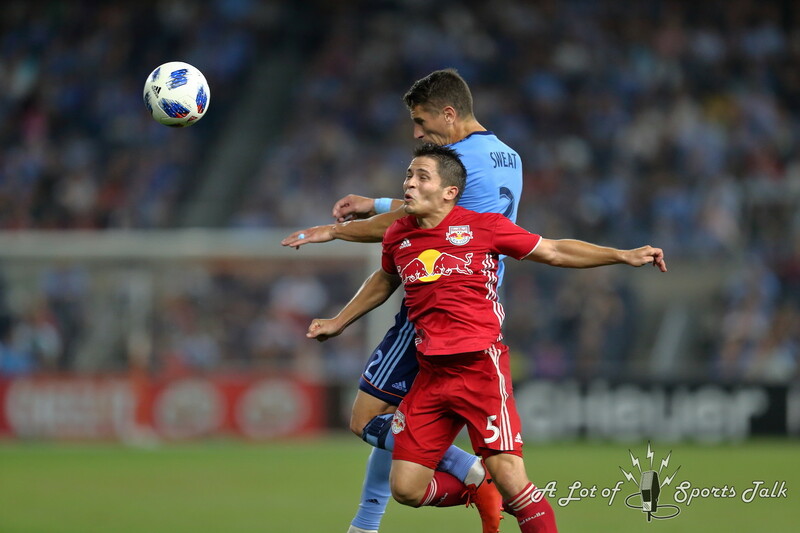 The risky strategy paid off just five minutes after the restart, as a Maxi Moralez long ball from the other side of midfield found Berget, who proceeded to head the ball down to the path of Villa at the top of the box. 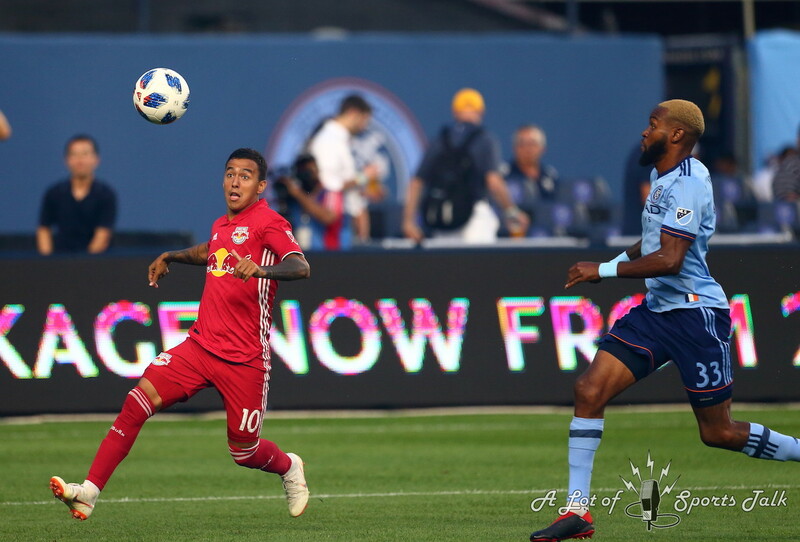 Villa, who came back to the lineup on Aug. 12 in Toronto after missing almost two months of action due to a knee injury, unleashed a powerful left-footed strike which beat a diving Luis Robles in goal to even the score. 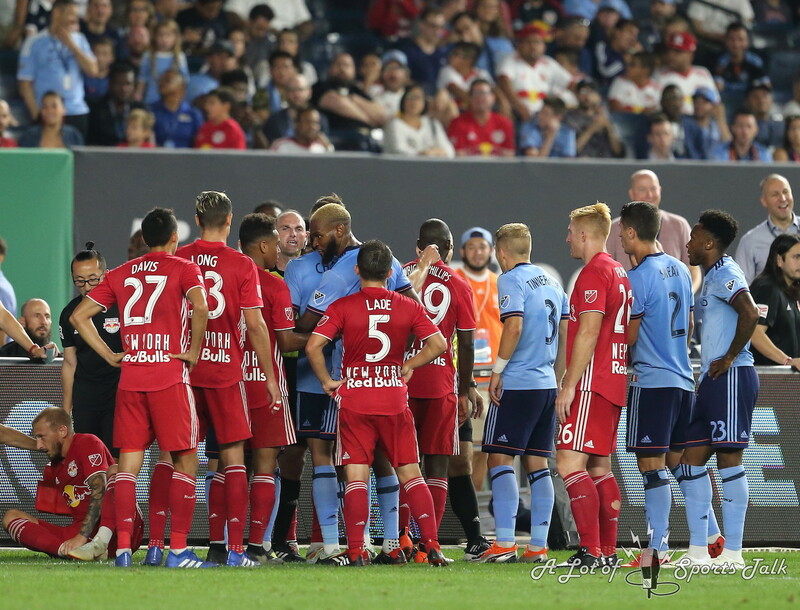 After the equalizing goal early in the second half, tempers started to fray on the pitch as both teams were getting physical, exchanging hard challenges on the ball. 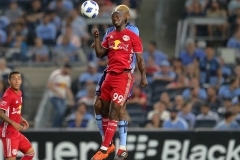 It wasn’t until the 73rd minute when New York City’s Ebenezer Ofori was given a red card and sent off for a challenge on Wright-Phillips near the top of the NYCFC penalty area. Ofori was given the red card after video review of the play. 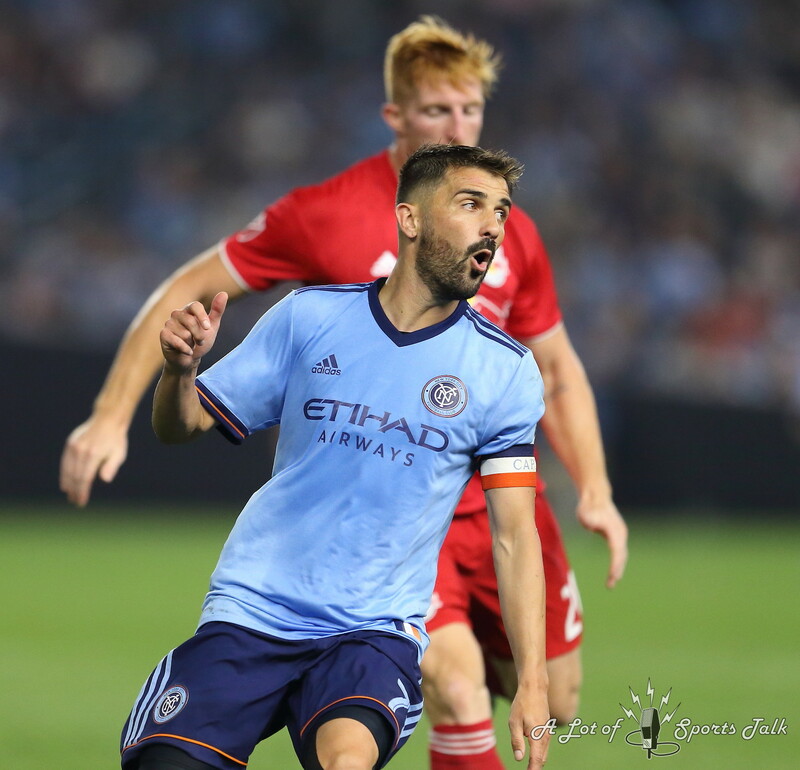 When NYCFC went down to 10 men, head coach Doménec Torrent made an adjustment at halftime by taking out some width, bringing the formation to a 4-3-2. This formation is something he had come across before in his career in Europe when his teams would have a man sent off. 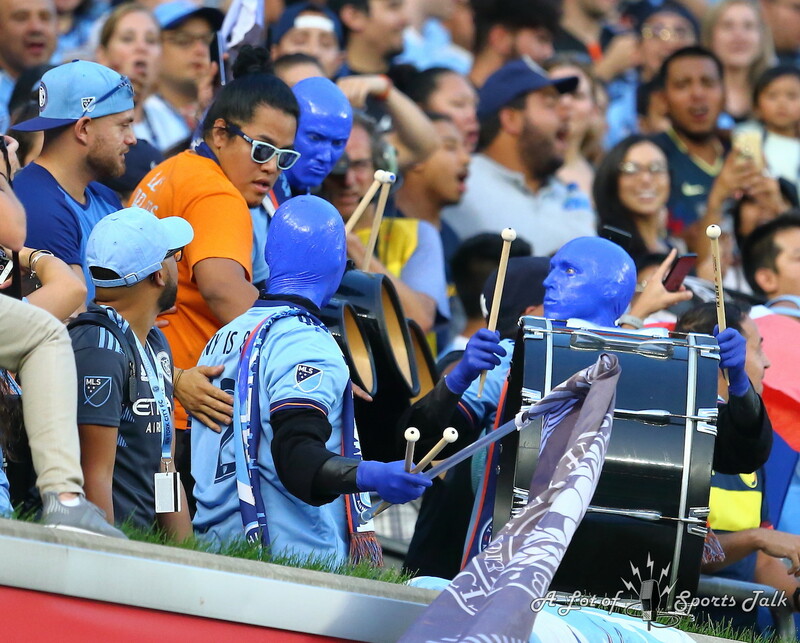 NYCFC’s decision to choose adventure over caution was hampered when Berget suffered an apparent leg injury just minutes after setting up the tying goal, as Rodney Wallace came in for Berget in the 56th minute. 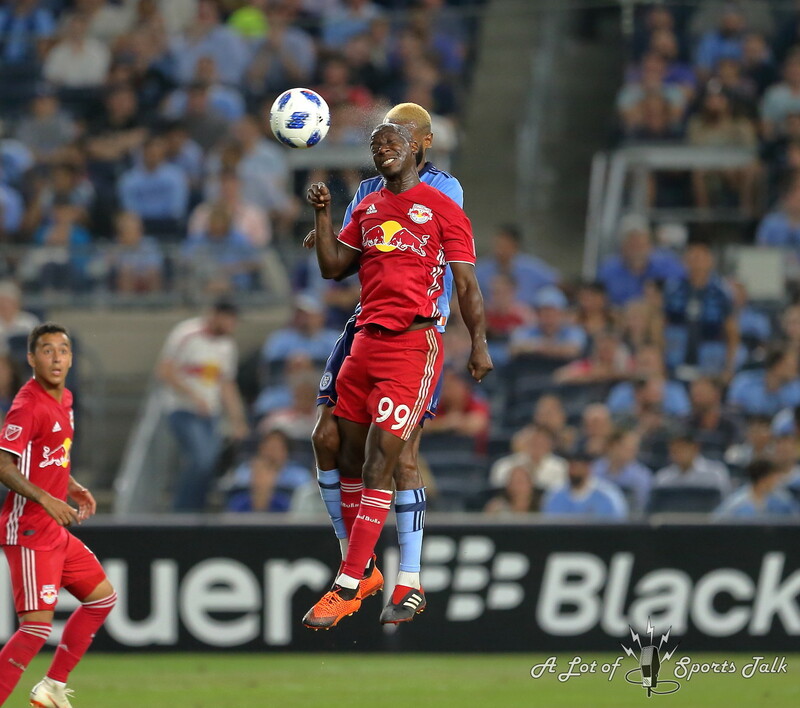 Wright-Phillips opened up scoring for the Red Bulls in the 37th minute after he found some open space in the penalty area to meet a cross from the left wing by Daniel Royer, heading the pass beyond NYCFC goalkeeper Sean Johnson at his far post. 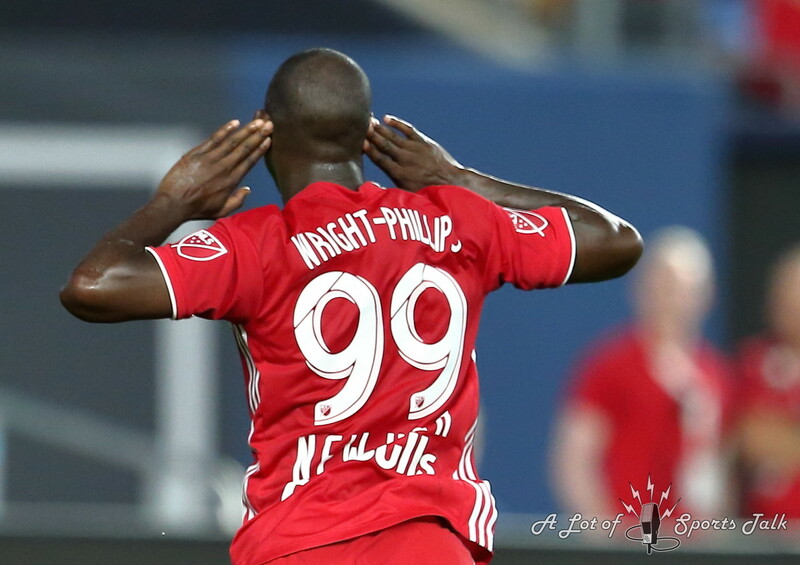 For Wright-Phillips, the goal marked his 12th career goal in 12 appearances against NYCFC. 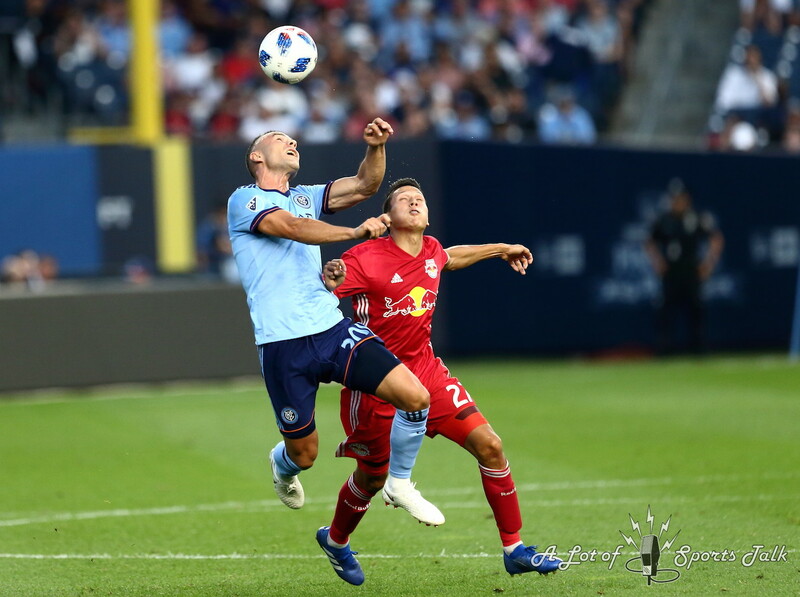 Just seconds after the goal, NYCFC went down to 10, but the Red Bulls were not able to turn that into a clear advantage in terms of scoring chances going forward. 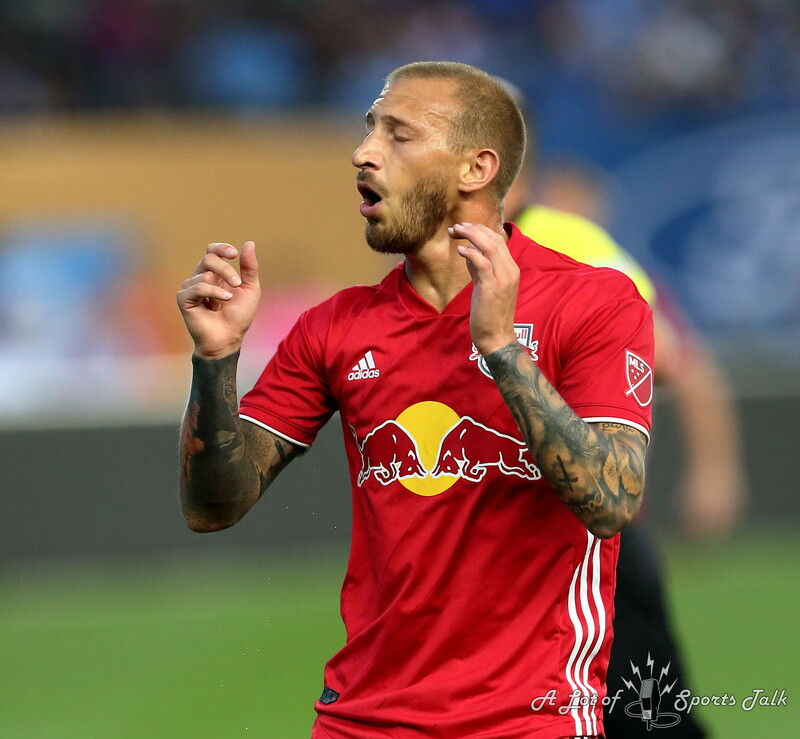 Royer, who set up the Red Bulls’ tally, said his team could have executed better with their numerical advantage. 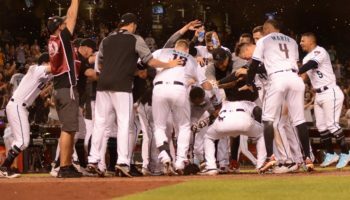 “We played too many long balls,” Royer said. 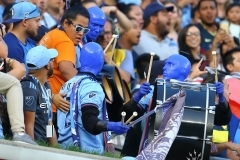 “We had more players on the field than NYCFC, obviously. 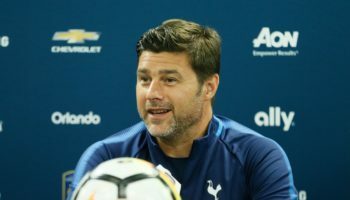 We should be able to play more, to possess the ball and create chances. 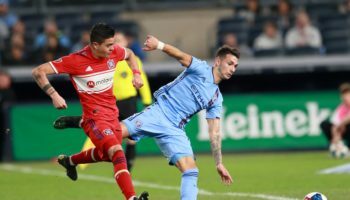 On the other end of the pitch, Villa echoed Royer’s sentiments, even if a point earned while scoring with a man down and finishing down two men would normally be considered an achievement. 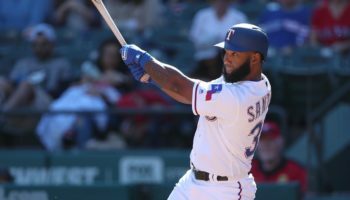 In a game full of tension, challenges, and headline players putting the ball in the back of the net, tonight was a great start to Major League Soccer’s Rivalry Week.